From the season 2019 we (Platbodemverhuur Friesland) offer flat bottom boats in different sizes for 2 to 12 people from different home ports in Friesland. The ships are maintained by the owners in the winter months with much effort and love professional, u.a. serviced and maintained by the support of the shipyard "Watersport Twee Provinciën". Port of departure Makkum: What possibilities ? What advantages ? • From Makkum to the Wadden Sea? No problem, within 45 minutes you have reached the Lorentz locks at Kornwerderzand. Depending on the wind force and the tides, you will reach Harlingen after 2.5 / 3 hours sailing. The following morning you start your island round trip, Terschelling, Vlieland, Texel ... With favorable wind directions, it is advisable to sail on a round trip over the Easter Wadden Sea and to return to the base in Makkum through the nature reserve Lauwersmeer, Dokkum and Leeuwarden. • With extreme wind (forecast) you reach the Frisian inland waters via Makkum, the "Van Panhuyskanaal", Tjerkwerd and the Workumer Trekvaart you reach Fluessen and the Heegermeer. Alternatively, you drive through the channels via Bolsward and IJlst to Sneek. The Sneekermeer also offers itself to be there with a larger Lemsteraak on the way. ... In addition to many nice, sociable places to stay, you will find the so-called Marrekrite berths laid out in nature, where you can stay the night for free. Port of departure Stavoren: What possibilities ? What advantages ? • Stavoren is located directly on the Frisian coast, the berth of Lemsteraak ELISABETH is in the inland port. For guests with little experience on flatboats, the great inland rivers and the Hegumer Meer offers plenty space to try out the sailing with this kind of boat. You do not pass a lock and can get comfortable with the Lemsteraak. To the east / northeast there are beautiful places, such as Heeg, Woudsend ... as well as the opportunity to stay at one of the countless Marrekrite places in nature. With much wind on Wadden Sea and IJsselmeer, the Frisian lakes offer a great protected sailing area. Port of departure Leeuwarden: What possibilities ? What advantages ? • From Leeuwarden you can reach in max. 3.5 hours the Frisian coast, the port city of Harlingen. You drive on the Van Harinxmakanal, pass a few 12-meter-wide bridges along the way, and you may have to wait a bit in front of one or the other, ideal situations to practice the maneuvering with the hired sailor and get to know the driving and maneuvering characteristics of the charter ship. With appropriate wind directions, you can also sail on this wide channel (on the furling jib). • Leeuwarden is the ideal starting point for trips on the Dutch Wadden Sea. Within a week you can visit all Frisian island, Vlieland, Terschelling, Ameland and Schiermonnikoog. With wind direction from the East you sail by Dokkum, the Lauwersmeer and go in Lauwersoog through the lock on the Wadden Sea to Schiermonnikoog and then direction west, until then you come from Vlieland to Harlingen and from there drive back to Leeuwarden. With south- or western winds, you drive the trip the other way round. 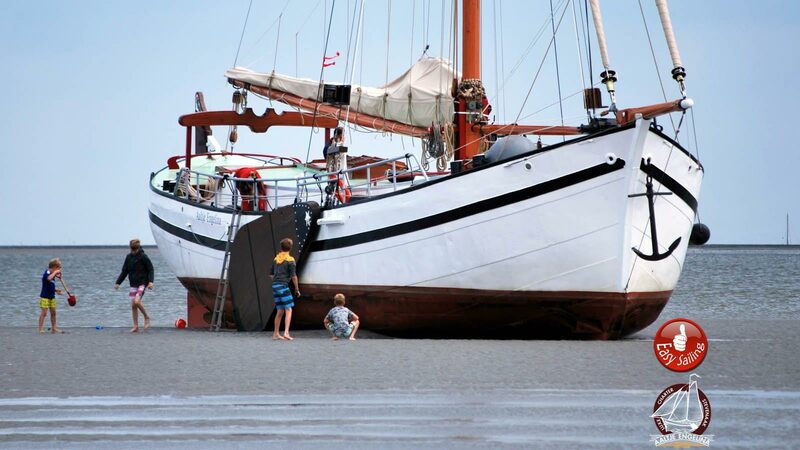 For a detailed sailing trip suggestion of this route, see: Sailing trip, one week Wadden Sea. 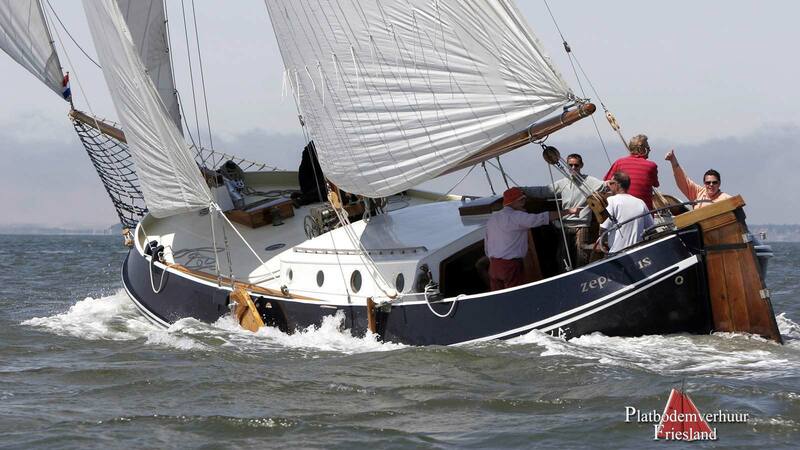 • If there is a lot of wind (forecast) it will be wise to take the Steady Mast Route to Grou and then on to Sneek. The Frisian inland waters have their own charm, there is plenty to see on the way, nice little places that invite to stay. Jetties built in the nature, stay overnight on an uninhabited island, ... The distances on the Standing Mast Route from Leeuwarden to places in Friesland and to ports on the coast can be found at Staande Mast Route Friesland. Port of departure Heeg: What possibilities ? What advantages ? • Heeg is the home port of the Lemsteraak ZEPHYRUS and the Vollenhovense Bol IRREGIE HELENA. From the berth in the harbor you have direct access to the Heegermeer, a large lake that continues south into the lake Fluessen and ultimately via a channel to Stavoren on the coast leads to the IJsselmeer. The Heeger Meer and Fluessen are an ideal sailingarea for the shallow Vollenhovense Bol, numerous overnight stays in nature on an island offer themselves. An ideal area for practicing the rented sailboat a bit and getting to know the sailing and maneuvering characteristics of the ship. • From Heeg you can also drive north, a little over the Prinses-Magriet-Kanaal in the direction of Sneek (about 10 kilometers further north). Also, the Sneekermeer is a fairly large lake with countless landing possibilities of Marrekrite in nature. Sneek as a special water sports resort is always worth a night, of course. It is possible to sail further north (drive) to Grou with the Pikmeer and the adjoining nature reserve "De Alde Feanen", a former peat mining area that offers a special charm in every season. 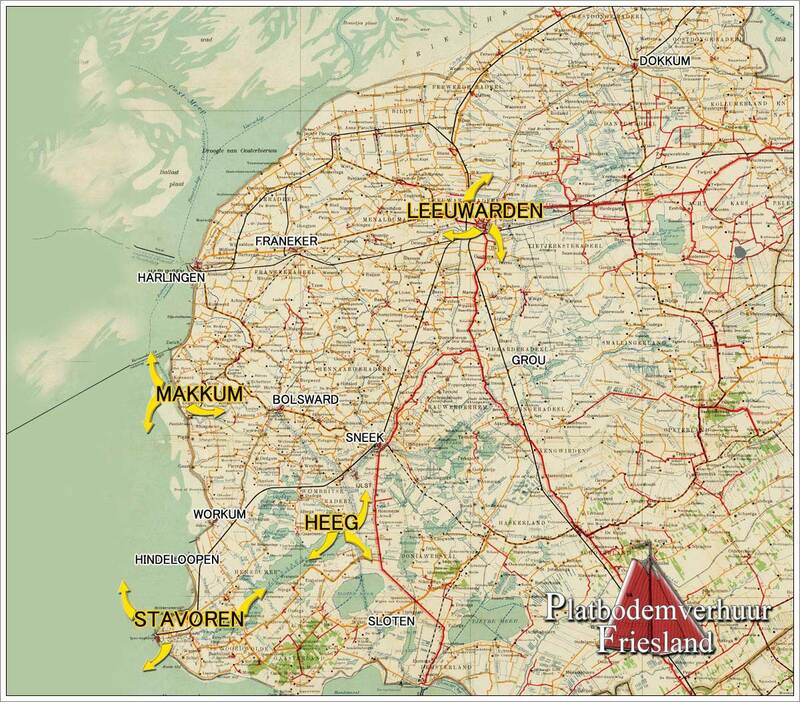 The office of Platbodemverhuur Friesland is located in the south of Leeuwarden, the Frisian capital directly on the Standing Mast Route (Staande Mast Route). The offered flat bottom boats and Lemsteraken have different departure ports, see details at the ships. The charter fleet consists of several traditional flat-bottomed vessels from 9.00 to 22.50 meters in length. The ships are suitable for crews of 2 - max. 12 people. The Stevenaak AALTJE ENGELINA is for rent only with Skipper, the smaller Lemsteraken and flatbottoms are offered without skipper (bare boat charter). From the base Leeuwarden you are about 3.5 hours in Harlingen, directly on the coast to sail on the Wadden Sea, Grou is about 1.5 hours on the Standing Mast route to reach and in max. 1.5 days you will be on Schiermonnikoog on the eastern Wadden Sea. In our crew there is more than 20 years of experience, both in charter business, as well as in practical driving and sailing with these traditional sailing boats. Please get in touch with us. We speak English, Nederlands, German and friendly. Contactaddress and Office: Platbodemverhuur Friesland, De Zwemmer 1, 8939 CA Leeuwarden Friesland, The Netherlands. 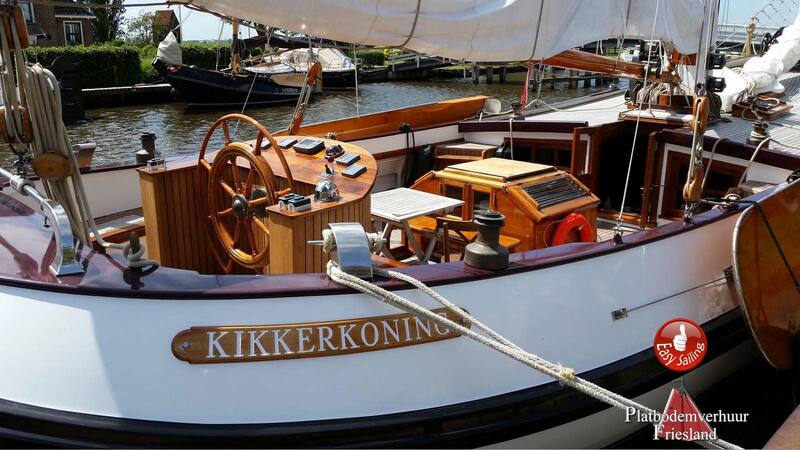 Flatbottom sailingboats for rent Platbodemverhuur Friesland Netherlands. 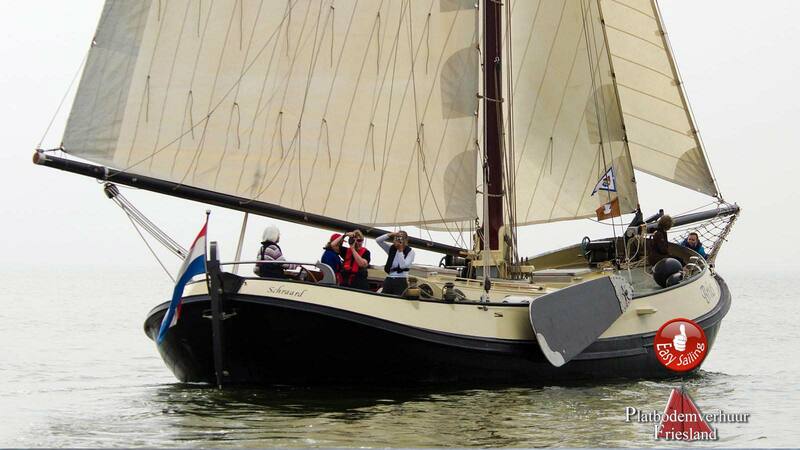 Sailing yachts charter, Netherland,flat bottom sailing boats - Dutch Yacht Charter, Boating holidays an Netherlands inland waterways. 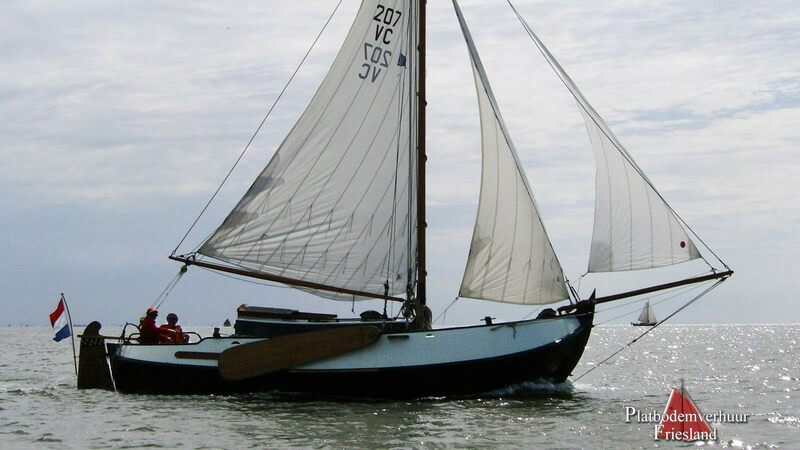 Sailing Barge holidays and cruise vacations on frisian canals and seas for sailing journeys on the IJsselmeer, Wadden Sea and Frisian inland waterways. 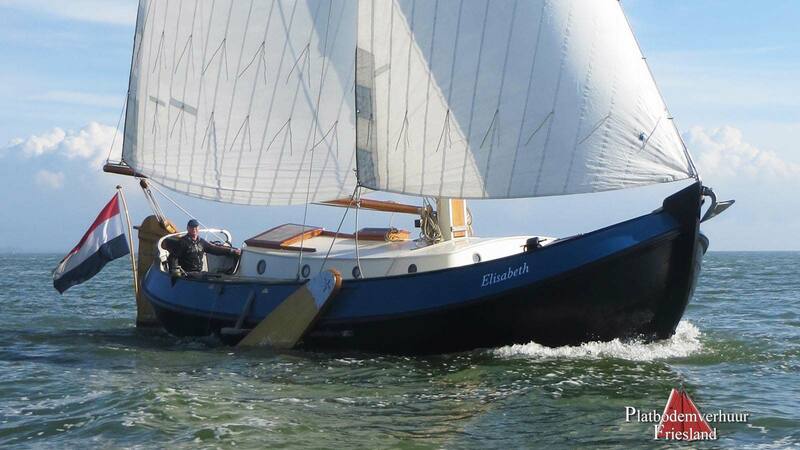 Bare boat charter traditional dutch sailing boats 2-12 persons, sailing on Ijsselmeer and Waddensea. 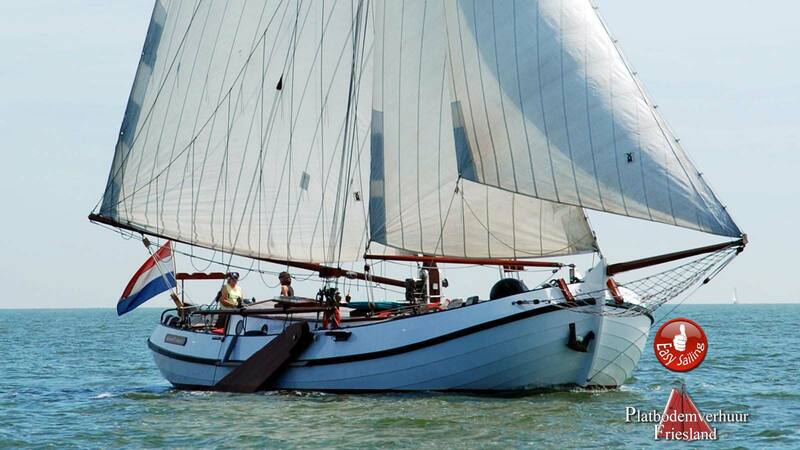 Flatbottom sailingboats for rent Platbodemverhuur Friesland, Sailcharter Leeuwarden Netherlands. 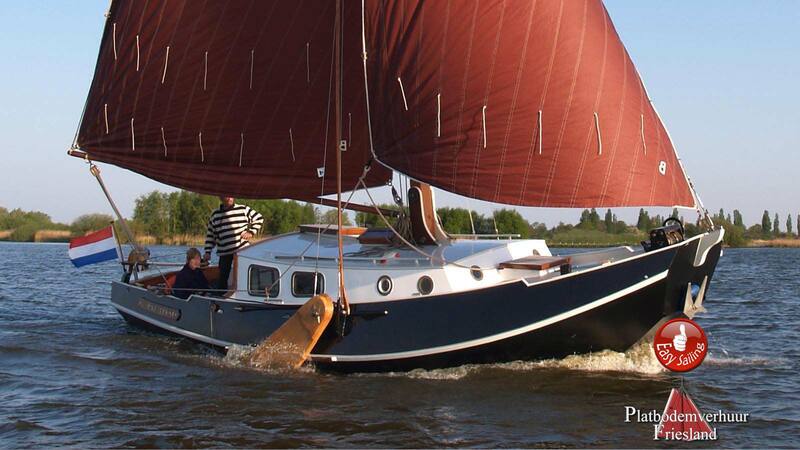 Traditional flatbottom sailing boats for rent in Leeuwarden, Friesland, Netherlands. Lemsteraak VROUWE FRANCISKA, Lemsteraak BRIES, Lemsteraak ZEPHYRUS, Lemsteraak ELISABETH, Vissermanaak KIKKERKONING, Zeeschouw DOLLE DRIES, Vollenhovense Bol IRREGJE HELENA for rent with us.